A touch of brilliance from coach Yosuke Kurashima helped guide Japan into the Men's Team final. Kurashima's decision to play Jun Mizutani in an unexpected position enabled Japan to beat Germany, and at the same time prevent the European country's highest seeded player Dimitrij Ovtcharov from playing twice. China also enjoyed a great day of Table Tennis, beating Korea Republic and Singapore in the Men's Team and Women's Team events respectively. Japan are into the Men’s Singles final with a 3-1 victory over Germany. The Women’s Team event may have seen Germany stun Japan, but that was not the case in the men’s category as the Japanese squad took advantage of their opponent’s predictable lineup for the match. 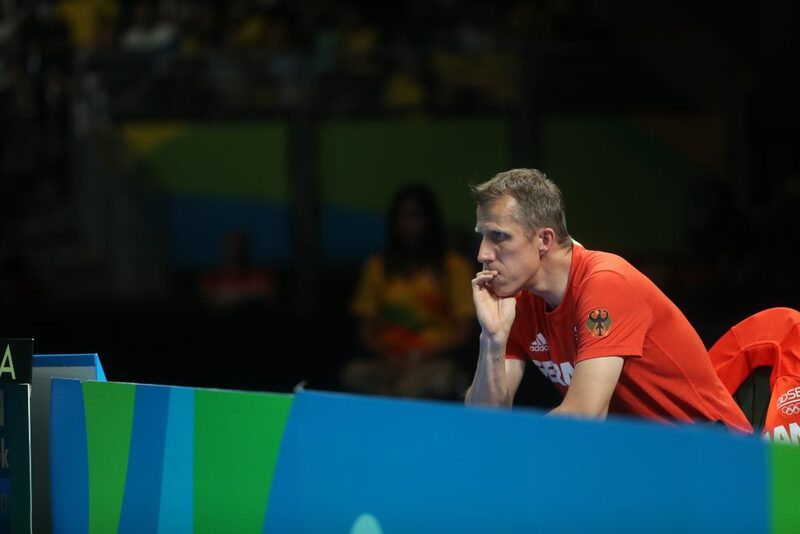 Jörg Rosskopf (German men’s coach) put Dimitrij Ovtcharov down to play the opening match, with many believing that Jun Mizutani would play first. However, the Japanese men’s coach Yosuke Kurashima made a clever move by using Maharu Yoshimura in the number one spot and putting Mizutani in the second match. Unpredictability in the Japanese formation appeared to have caught Germany by surprise, or had it? Rosskopf said following the match that he went into the tie believing that Japan would field Yoshimura before Mizutani, “We expected Maharu Yoshimura to play first, it was no surprise.” If Rosskopf had indeed anticipated the opposition’s order of play, then his confidence in Bastian Steger upsetting Mizutani later in the semi-final must have been high. Possibly an error in judgement that cost the Germans a place in the final. Yosuke Kurashima’s decision, on the other hand, almost single-handedly guided his Japan side to victory as Germany’s highest ranked player Dimitrij Ovtcharov was reduced to just one match. Ovtcharov gave the Germans the lead with a 0-3 whitewash against Yoshimura (11-8, 11-3, 11-3), although the Japanese player did manage a moment of excellence by hitting a behind the back shot in the second end. After that it was all one-way traffic in Japan’s direction as Jun Mizutani won his encounter with Timo Boll in straight games (11-9, 11-5, 12-10). Maharu Yoshimura and Koki Niwa then saw off Bastian Steger and Timo Boll to put the advantage into Japan’s court. Steger stepped up to face Mizutani, knowing that a defeat would eliminate Germany from the competition. But despite putting up a good fight, the Japanese star was too strong for Steger and a 3-0 loss followed for Team Germany (11-5, 11-4, 11-4). “In the team event, I am able to play more freely and easily, as having teammates makes me more relaxed than I was in the individual events. Our next match would (sic) probably be against China, and it will be a big moment for us to play against them in the finals of the Olympic Games.” – Jun Mizutani. Korea Republic proved no match for a powerful Chinese men’s side, as Liu Guoliang’s squad claimed a clean sweep victory. Just like their female counterparts, the men’s team are aiming to retain their Olympic crown and look set to achieve that feat after booking a meeting against Japan in the gold medal match. However, Korea gave China a small scare in the opening match of the tie. World number four Zhang Jike came close to a shocking defeat to Korea’s Jeoung Youngsik (12th), when the Chinese contestant fell 1-2 behind. Zhang, though, raised his efforts to take the next two ends and give his country the lead. “It was a very difficult game against Jeoung Youngsik. 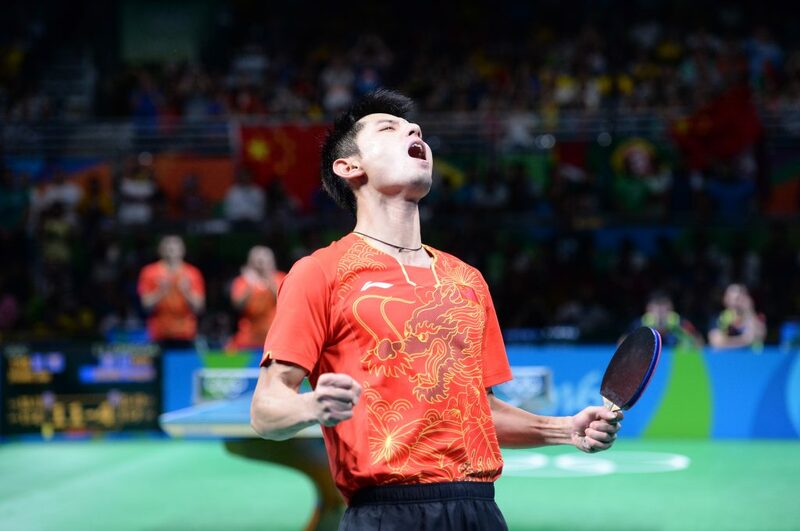 He was playing so well, I am not sure how I managed to come back and win, but I am very glad I was able to and give my team the start it needed.” – Zhang Jike. 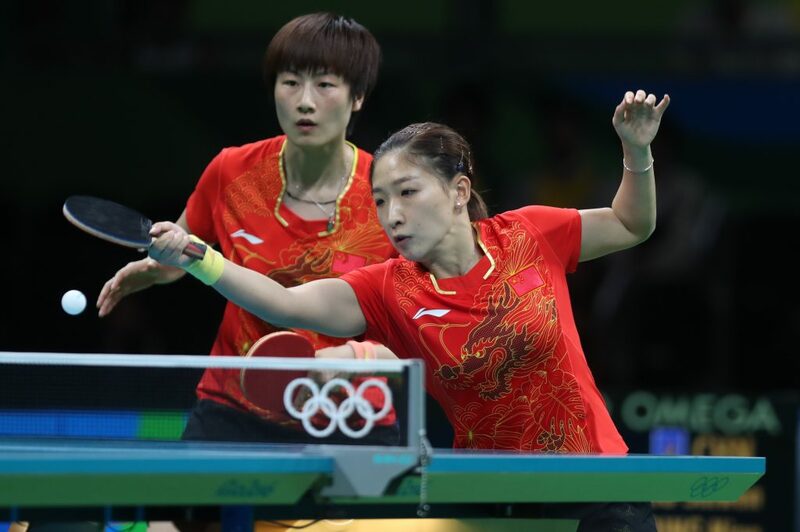 Unlike Zhang’s close encounter with Jeoung, Ma Long managed to clear Joo Saehyuk (Korea Republic) in dominating fashion. Ma looked strong from game one against Joo taking the end 11-1, and the 2016 Olympic Games Men’s Singles champion continued to make light work of his opponent, winning the next two games by an 11-4 scoreline. Jeoung Youngsik and Lee Sangsu attempted to put Korea back into the tie, but Xu Xin teamed up with Zhang Jike to win the doubles three straight to bring the evening’s play to an end. China will have the opportunity to defend their Women’s Team title as well, after they overcame Singapore with little difficulty. Li Xiaoxia, Ding Ning and Liu Shiwen continued to show their dominance in the women’s game, beating Feng Tianwei, Zhou Yihan and Yu Mengyu to book China’s place alongside Germany in Tuesday’s final. Ding Ning, who recently picked up the Rio 2016 Women’s Singles gold medal, then went head-to-head with Singapore’s Zhou Yihan. Game one went to Ding (11-7), but having impressed in the previous round Zhou again performed well and managed to steal the second end (9-11). Could there be an upset on the cards for Singapore? The answer was no, as Ding won the next two games (11-6, 11-2) to put China 2-0 up in the tie. “The first two singles matches are vital. We anticipated that Feng Tianwei will be the first player, so we decided to put Li Xiaoxia to play against her as she has a better head to head and has (a) higher chance of victory… We thought of the possibility of going into a fourth match. Even though Liu Shiwen has lost to Feng twice last year, she’s not weaker than Feng.” – Kong Linghui. 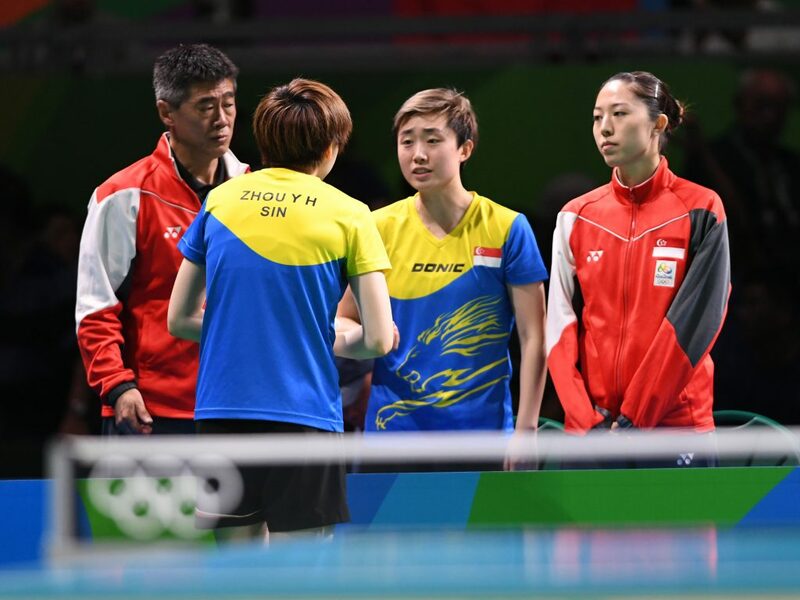 Disappointment for Singapore – and they will move into the bronze medal match to face Japan. But for China, the dream of winning the gold medal yet again is still on. The Women’s Team final between China and Germany will take place on August 16th at 19:30 (GMT-3) and you can watch it HERE.